On this episode, I talk about my hiatus. There are a lot of important events in between worth talking about, so I touch on just a few of those in this episode. I’m looking forward to getting back into AviatorCast again! 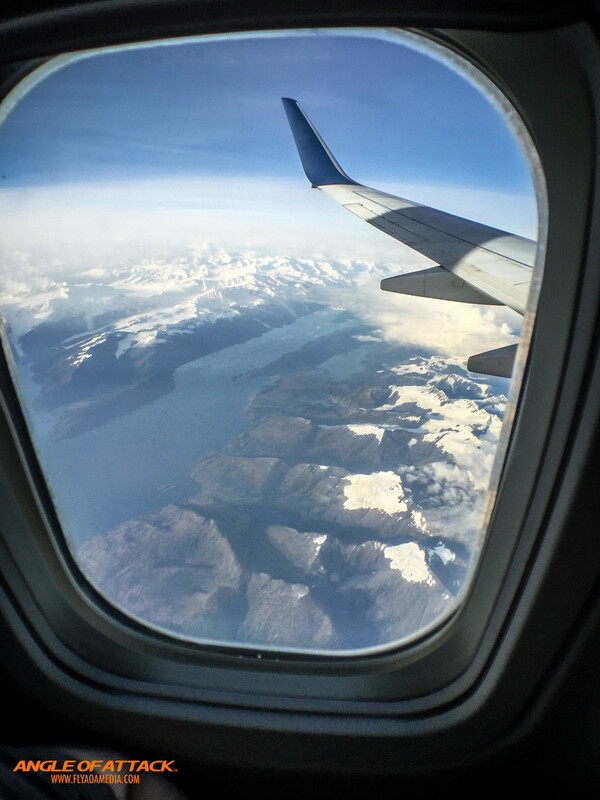 Leaving Alaska to start our journey. 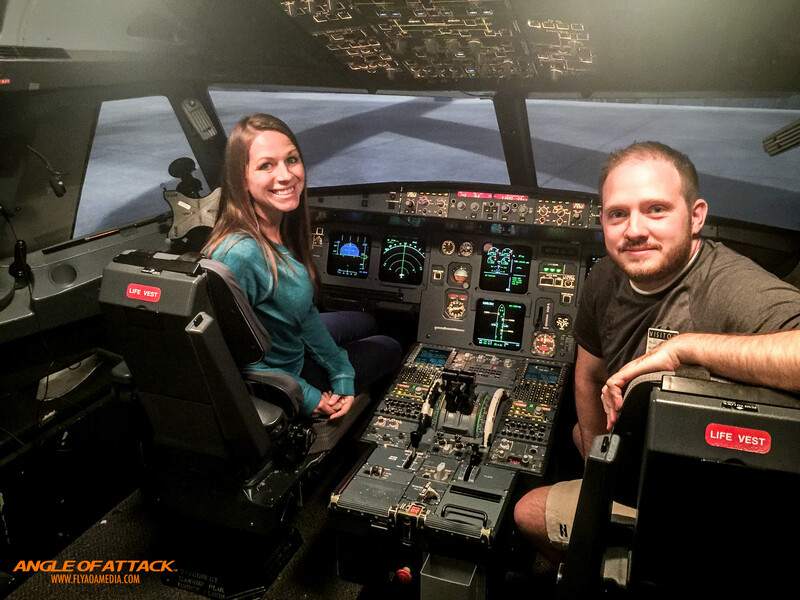 Chelsea did a great job landing this A320 sim- no joke! Jason loves the 737… No, really. 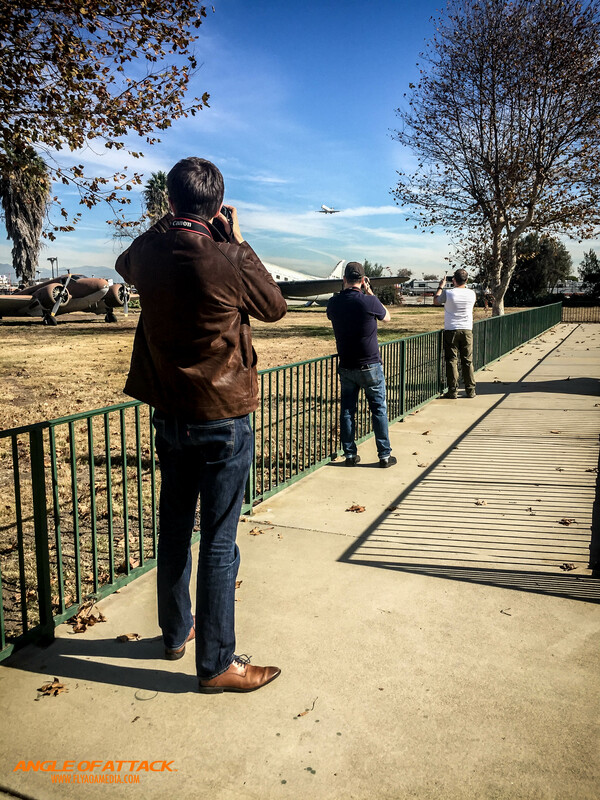 Behind the Scenes with FlightChops. Jumping on an ERJ-195. Made in Brazil! 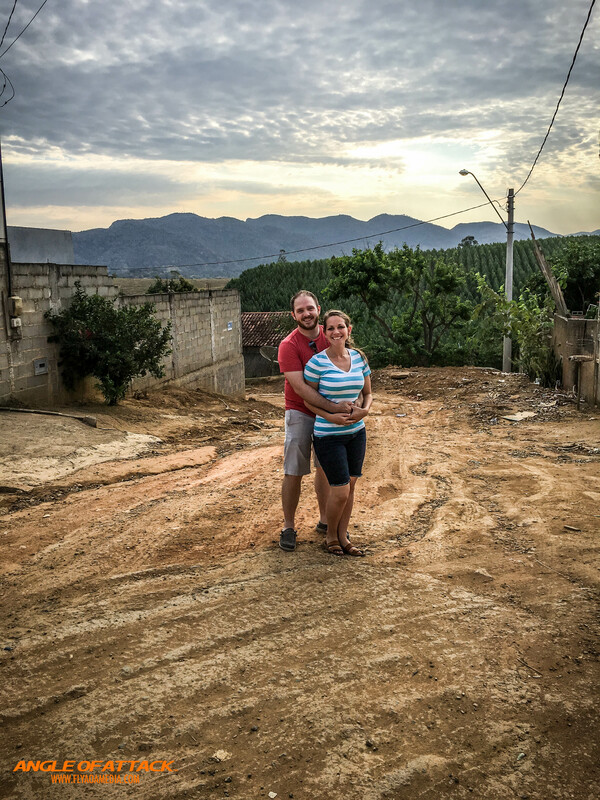 My wife and I visiting one of the families she taught on her mission. I can’t help but geek out wherever I am. 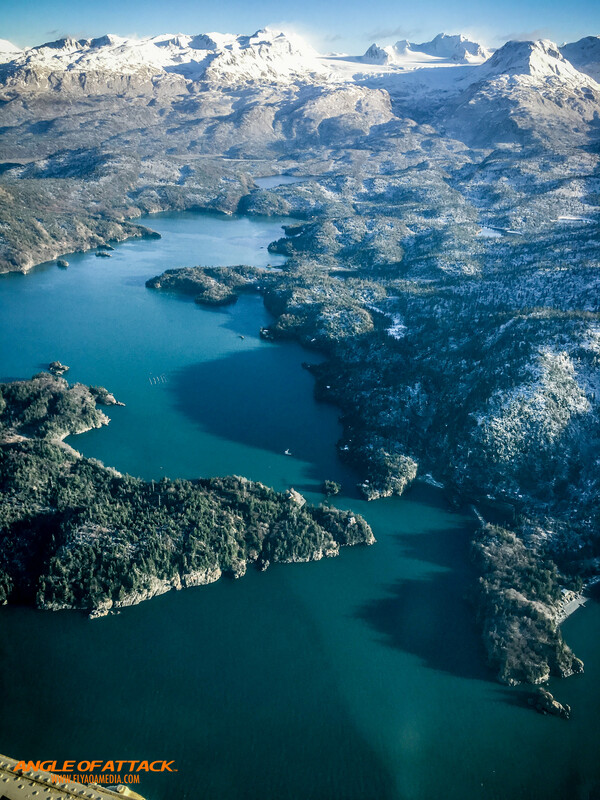 Flying over Kachemak Bay in Alaska. 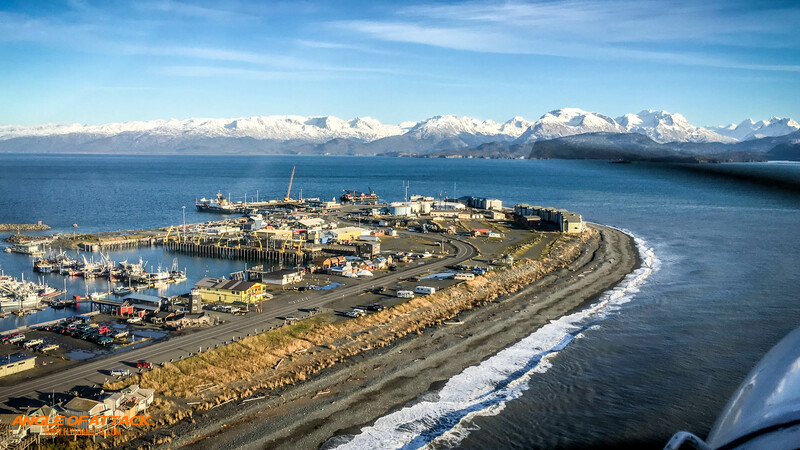 The end of the Homer Spit, Alaska. Will miss flying for a while. 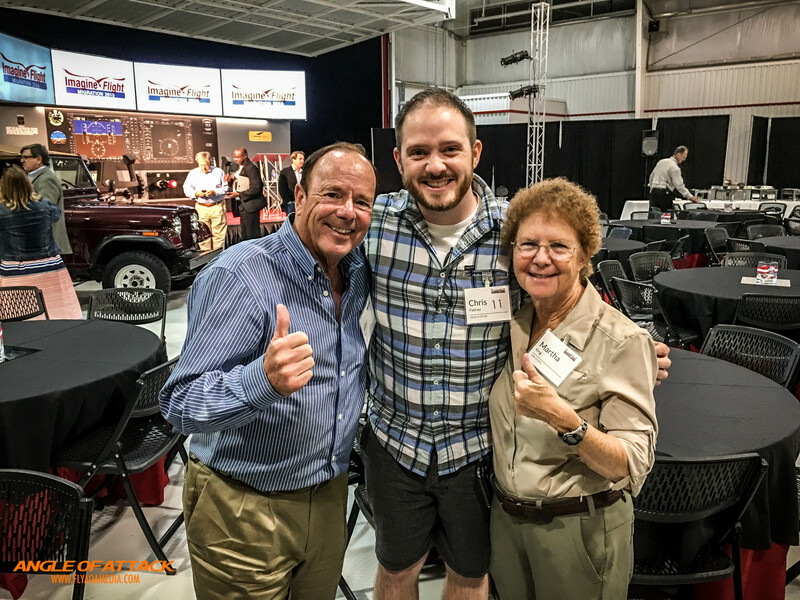 I got to meet John and Martha King! After winning a Whizzy Award at Redbird Migration! Honey I blew up the 172! The view from Proud Bird Restaurant. This whole hallway is full of aviation history. Just some of the history inside Proud Bird. What a view! Even better company. Now that’s a complex engine! Crazy this thing was in space. Nick Collet, Mike Bartils and I. Many of you know Nick Collett. Yes, he’s quite tall! 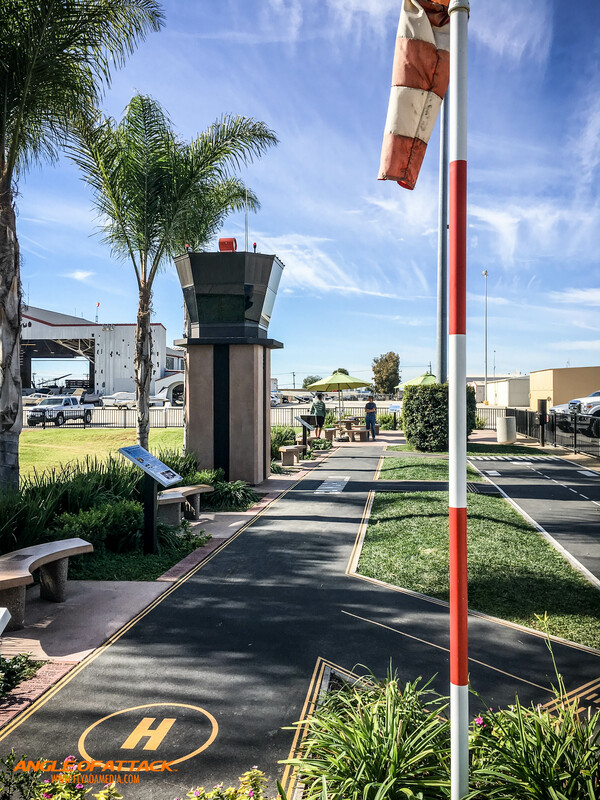 A great play-place for kids at Camarillo Airport. 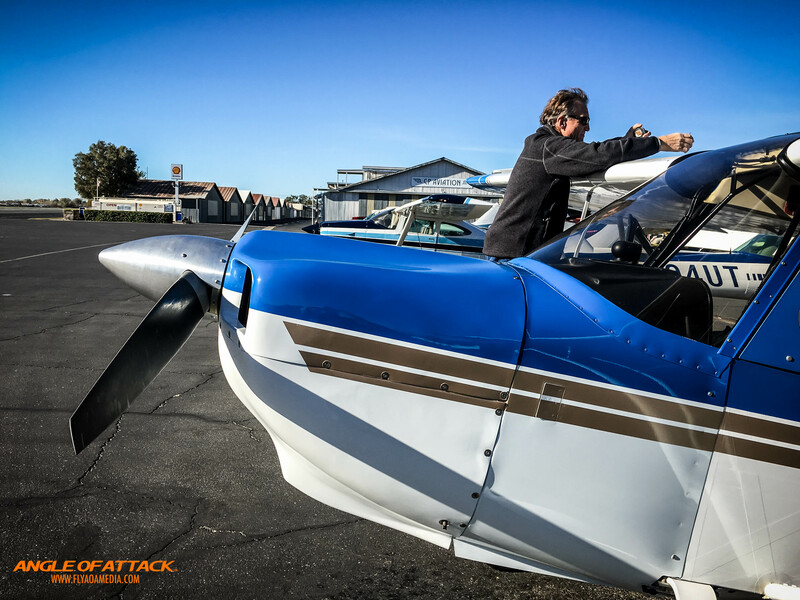 Back in the saddle, this is AviatorCast episode 75! Chris: Welcome, welcome, welcome aviators. You’ve landed at AviatorCast. My name is Chris Palmer. It doesn’t matter where I am in the world. I seem to meet passionate aviators everywhere. Part of my love for aviation comes from being able to share this passion with so many others. So welcome to this, the 75th episode of AviatorCast. You guys haven’t heard from me in a while. There are some very good reasons for that, and that is what we’re going to talk about today, and that is what we’re going to talk about today. So I’m going to share with you a little bit about where I’ve been, what I’ve been doing, how that relates to aviation. There are a couple of cool things there. And then we’re going to get back on track here. We’re going to get back into the flow of things here with AviatorCast and continue to give you guys some great stuff. 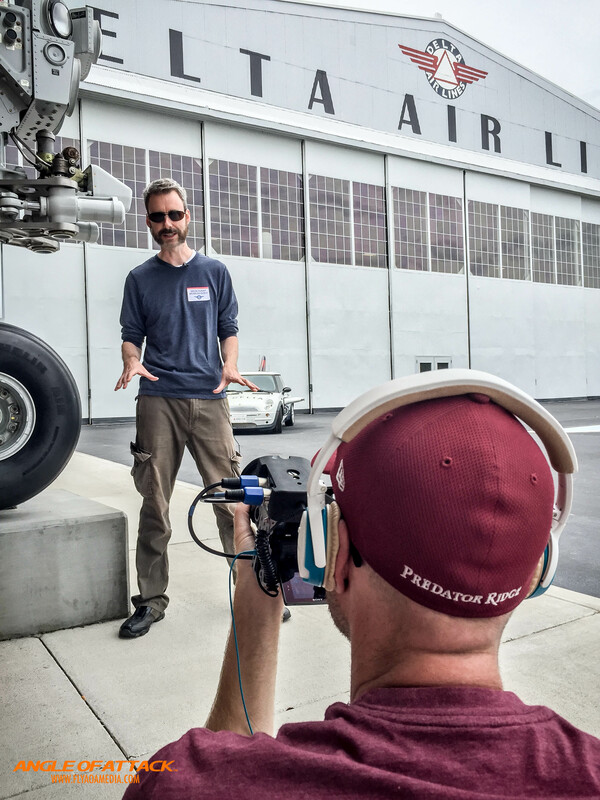 So if you haven’t been to AviatorCast before, this where we talk to inspiring aviators. We have interviews with them, learn about their careers, learn about what makes their clock tick, what makes them want to fly. 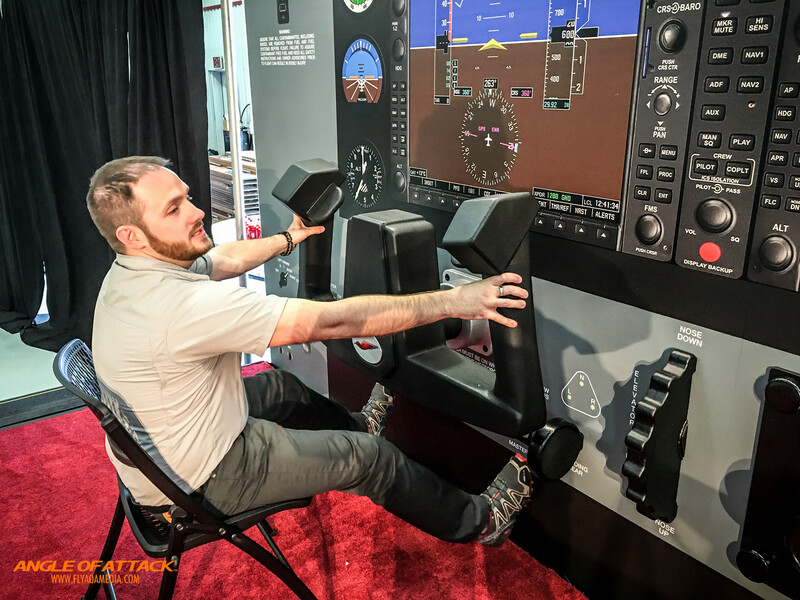 We get insight into the industry, whether that be training or simulation or just flying in general, and again, we talk to people from many different walks of life in aviation and that helps us change our perspectives and change some paradigms that we may have been in before. Maybe you are an aviator that has lost your passion or you’ve been out of the cockpit for a while. This is a place where we hope that you can reignite that flame and kick the tires, light the fires if you will to quote Top Gun. So this is a place where you can come and get that sort of thing. And maybe you are wanting to fly but you don’t have the courage to fly. This is a place where you can learn a lot about it and demystify it if you will. So again, on today’s episode, we’re going to catch up on what’s going on but before we get there, there are a few pieces of news both from flight simulation and from flight training. I want to get to those first, and then we are going to get into where I have been and what I’ve been doing. There are some exciting things there that I think you guys will enjoy, and okay, so let’s get into some news first and then we’ll get into where I’ve been. Chris: The first thing that is new in the flight simulation world is Prepar3d version 3. Now, Prepar3d is a platform that’s kind of built on top of what Microsoft created with Microsoft Flight Simulator. 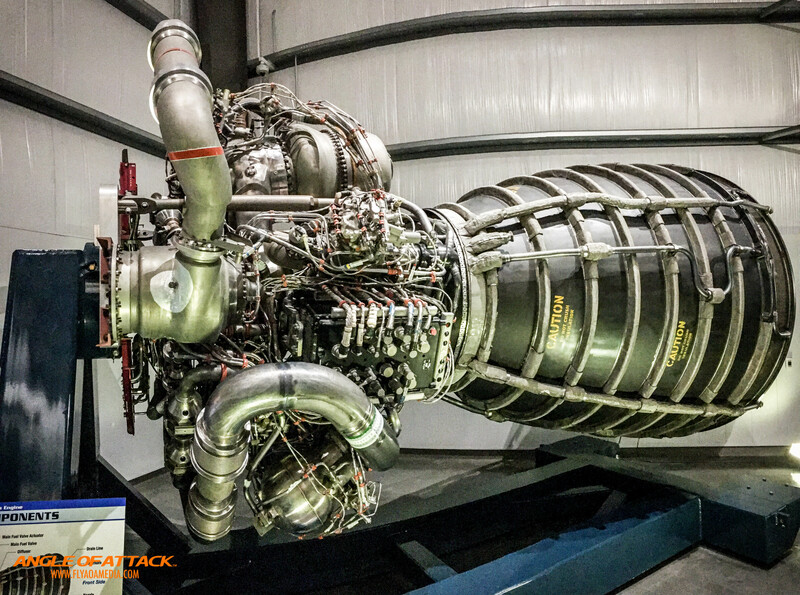 It’s built on that codebase, but Lockheed Martin has taken Prepar3d themselves and they’ve been actively developing it for several years now. I myself, I’ve been using Prepar3d quite a bit. I’ve actually been using it with the Oculus Rift which is absolutely awesome, talk about simulation immersion. Prepar3d is a fantastic platform and they are continually developing for it and so it’s becoming even better and better. Again, they just released version 3. If you go to AviatorCast.com and go to the episode there, for episode 75 here, you will see a link to what is new in version 3. I mean, a list of hundreds of items. So they are really improving this stuff all the time and that is only good for those of us who actively use Prepar3d as a platform for simulation. Another piece of news. Meigs Field is coming out. This is exciting. This is coming from Orbx. Orbx does fantastic add-on sceneries, sceneries that you can put inside of your simulation if it’s FSX or Prepar3d. So Meigs Field is coming in. If you guys remember Meigs Field, that is the airfield in Chicago where you basically take off and you’re going straight toward the downtown Chicago, towards the Sears Tower. Now, that airfield in real life was actually destroyed for the mayor or something, the mayor came in and ordered that the runway be torn up by some bulldozers, basically this airfield that people absolutely love in the aviation community because it was so iconic, and they came in and destroyed it overnight. So this is Meigs Field in a virtual sense as if it was still alive and well which it’s not, but it’s pretty cool that it’s going to be available for newer simulators. And the last thing is that Dovetail who have taken over the FSX franchise from Microsfot are also doing a great job in tweaking and developing more for FSX. So they’ve come out with several DLCs recently, one of them being an around the world thing and also something called Sky Catcher which has a lot to do with aerobatics from what I understand, but it’s nice to see that those guys are taking a much larger active role in the flight simulation community, whereas Microsoft wasn’t. They were just kind of all marketing and big corporation stuff as you can imagine. But Dovetail has a done a great job. Kudos to them. This a good time in flight simulation. There is a lot going on, a lot of active development in Prepar3d, FSX, X-Plane is just as great as ever. There are a lot of great things going on there. So I’m sure there are a lot of other news items I missed. If you guys have any ideas, you can always reach me on twitter or at me@aviatorcast.com or at Aviatorcast.com, you can go there. Find a way to contact me, tell me about your great flight simulation news. I’d love to put it on the show. So let’s get into the flight training news now. 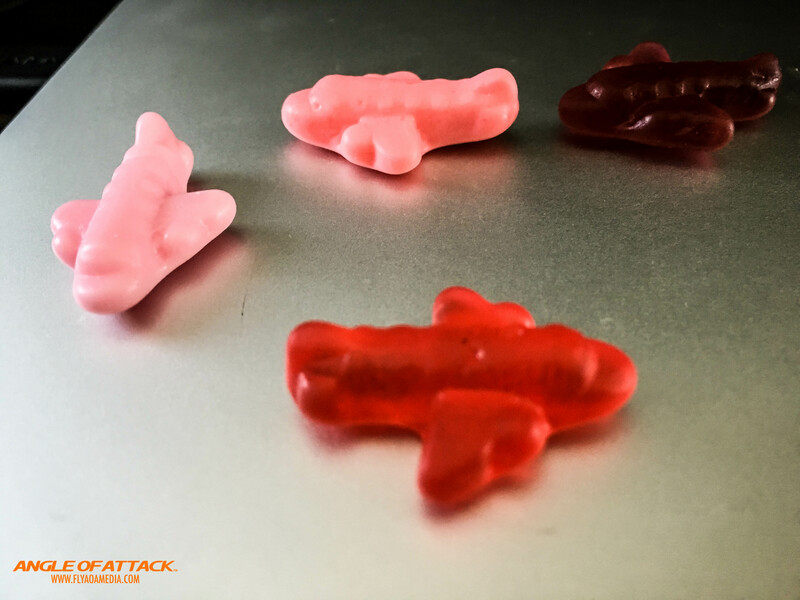 Chris: We have a couple items here in flight training news. The first great news is that the third class medical initiative or the legislation that is going through the US government has passed the senate committee and it is looking really good. It has a lot of support so this third-class medical thing is going through in a big way. It is not yet passed, it has to pass the senate then I believe it has to go back to the house and then it has to go to the president’s desk for him to sign it. So this is a good thing for pilots, a very good thing. There are some parties that have been opposed to this, one of those being ALPA, the Airline Pilots Association. I know that there are also a lot in the flight community that are opposed to it because they think it will put a lot of unable pilots in the sky, but I have to tell you that I think that the restrictions that are in front of people in order to fly are astronomical and we need to find ways to take away some of those restrictions away. I know that we’ve done some good things with the sport pilot licenses along these lines but this third class medical thing is a lot better. And I just went through getting my medical back and I have to tell you the process was ridiculous. I spent 2500 dollars on different tests and I ended up finally getting it back, and I was in this position now where every year, I have to get my special issuance again. But with the third class medical, I will only have to do it every four years. So this is not only a personal thing for me. I believe I am a physically capable pilot. But this is a big thing for getting people back into the industry. So if you are someone who has been kind of pushed out of aviation for medical reasons, I challenge you to go to a link that I’ll put on aviatorcast.com and you can check out the details of this third class medical and how it will affect you, because again, I think this is a really good thing and I’m glad it’s happening. So go to aviatorcast.com, check that out. I won’t talk more about it. It’s just something you can go and study if you want to learn more about. In other exciting news and I’m sure there are more news beyond this but Foreflight who is popular for their electronic EFP if you will has just released Logbook. So now Foreflight can act as your pilot logbook. It looks like it is fairly robust. I went through and watched some of the videos that they have on it. It looks like it’s pretty good stuff. This is a direct quote from their website that says “Logbook is seamlessly integrated into the Foreflight app, making it easy for pilots to manually and automatically log flights, track hours, review currency, record certificates and ratings, receive electronic instructor endorsements and generate experience reports. So I actually think that these days, electronic logbooks are a really good thing. I do like the fact that I have a physical logbook. I think it is smart for people to have a physical logbook to back up what they have online and for the online to back up what they have in a physical logbook, to have that redundancy. I think with the workflow of how pilots work today, it makes sense that Foreflight would add a logbook app onto their app. There are other great logbook apps out there so it’s not like this is a revolutionary thing. It’s just that this is now a logbook that will integrate directly into Foreflight and will work pretty well. So, if you don’t like some of the other options out there for electronic logbooks, then now Foreflight has one, and I think this is a great thing. 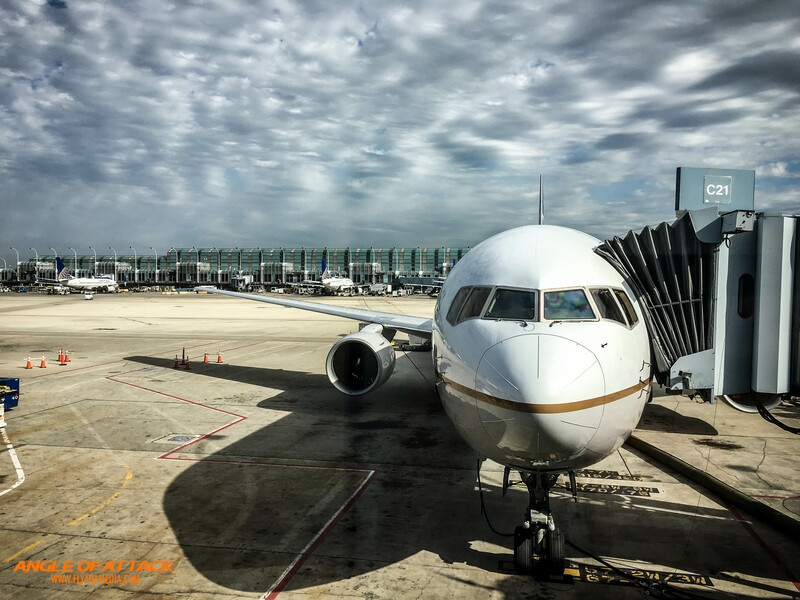 Again, we are a faster pace world in aviation today, and I guess we always kind of have been but this is just an added convenience for you to be able to log your time more efficiently, to get reminders about your currency, things like that. So, just building another tool in your corner if you will. So I do think this is a really good idea that Foreflight has done. Alright so that is it for the flight training news. Again, if you have any suggestions for other training items or anything, feel free to write at me@aviatorcast.com and I will put it on the show. So now let’s get into the main body of content for this episode and you guys can find out what the heck I’ve been up to in all this time that I haven’t done AviatorCast. So let’s get right into it. So after the last episodes that you guys listened to which took place at Oshkosh, things got really busy in my life. As I’ve mentioned several times in previous AviatorCast episodes, Angle of Attack is in the midst of working on a very big project right now and we are very busy. This is a real world project. This isn’t a simulation project. 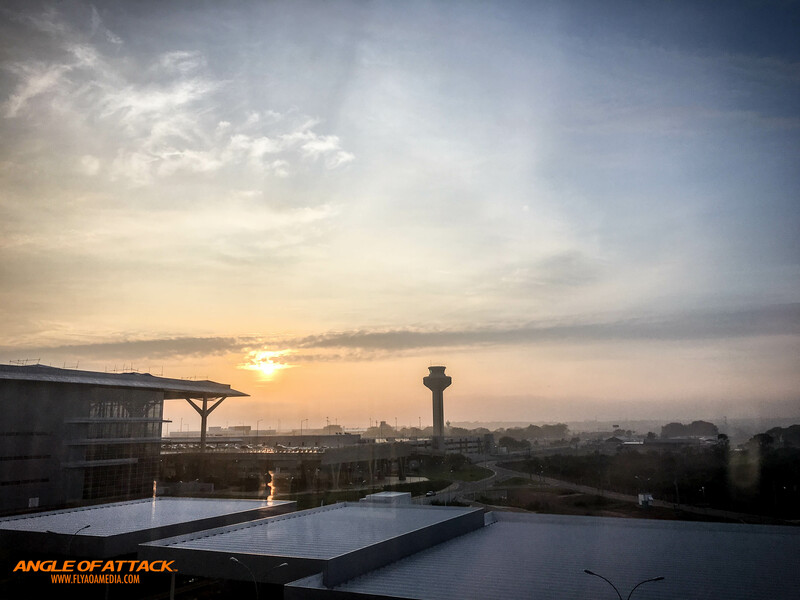 We’re taking the skills that we’ve learned in simulation, we’re applying those to an actual aviation course with a very well known aviation company. I can’t say any more than that right now. Hopefully I will be able to in the future. But this project simply takes a ton of my time. Now I could end there and say “That’s it. That’s basically what I’ve been doing from day to day” but there have been some other things in between that I’ve been doing and working on and some places I’ve gone, so I want to share those with you. But the overreaching thing is is that I’ve just been incredibly busy. So that’s my excuse. 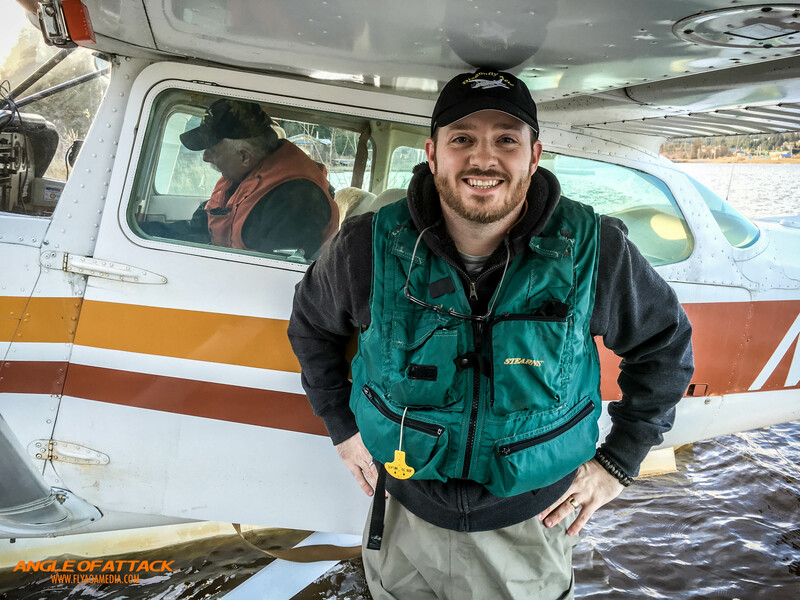 I don’t like excuses, so let’s get to basically where I’ve been and what I’ve been doing and the other things that I’ve been active in in aviation as well, and kind of where I’m at with that. So, soon after Oshkosh, I went to Atlanta and in Atlanta, I took part in what was call Maplewood 2015. Now Maplewood 2015 is the first annual Maplewood event with a few aviation guys where we got together and we collaborated on some projects and did some fun events, and it was an absolutely blast. So people that you may recognize that were there, we had Flight Chops who is Steve Thorne, he has an amazing YouTube channel. Flight Chops was there to film some different events, and I was actually in the full motion simulator with him, a 737-200 simulator at Delta Airlines at the museum there, and that video is actually already available on YouTube, it’s a fantastic video. It’s actually pretty popular. It’s one of the more popular Flight Chops videos already. So we had Steve Thorne there from Flight Chops. We had Peter Hartland who is the owner of iCloth Avionics, and I think I mentioned them in the past, iCloth creates these wipes that you can use on your avionics. They are safe, they are clean. It works really well, it gets all that dirt and grime off of it and then it leaves kind of an anti-static film that prevents dust from attracting to your avionics, and I even use it on my iPhone, I use it on my computer screens. iCloth was there in support in a large way of Flight Chops, they are both Canadian companies. Then we had Jason Sokoloff as there who is the 737 linework constructor here at Angle of Attack. 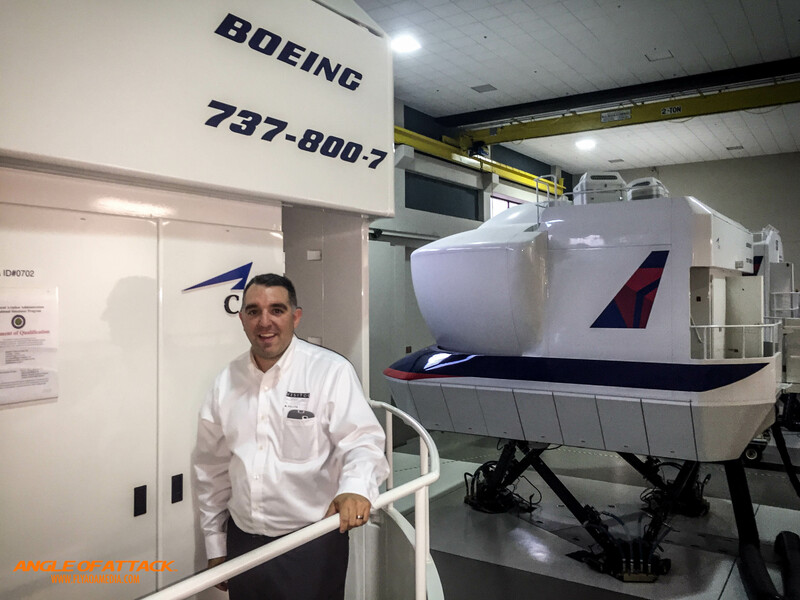 So he does continuing education if you will on top of our 737 ground work and flight work course where now he does, every couple weeks he releases an in-depth lesson on 737 training. So he’s gone onto everything. He’s on episode 55 now and he’s gone through so many intense situations, emergencies, things that just totally box him into a corner. So Jason was there. And Jason actually sat alongside Steve as Steve flew his first “airliner” for the first time which of course was just a simulation. But Jason was there kind of as an instructor for Steve in the left seat. So they had a fantastic time. You can see that video, you can see it on YouTube, just search Flight Chops. You’ll find them. Steve is a fantastic guy, I’ve really enjoyed my time with him. So piggybacking right off of Atlanta which was a fantastic time to bet there and visit people there, including my good friend Paul Carsons and his wife Ronnie, we just had a fantastic time there. From there, we went to Brazil, my wife and I. We went to Brazil. She served a church mission in Brazil and had so many friends there that we wanted to visit. I had never been there. She spoke the language fluently. So we spent a couple of weeks there and the drivers were absolutely crazy, I couldn’t believe it. I was on the defense all the time. Motorcycles running past, people not paying attention to red lights, things like that. But it was a blast. The people there are absolutely amazing and some of the kindest people I’ve ever met. The food was amazing, and it wasn’t nearly as hot as I thought it was going to be, but we had a fantastic time and I really enjoyed that. My wife worked hard to make that happen. She actually cleans fishing boats in the summer so she earned a lot of cash in order to make the Brazil thing happen. So as we went through Atlanta at Maplewood, we worked out way down to going to Brazil. So that was a great time. 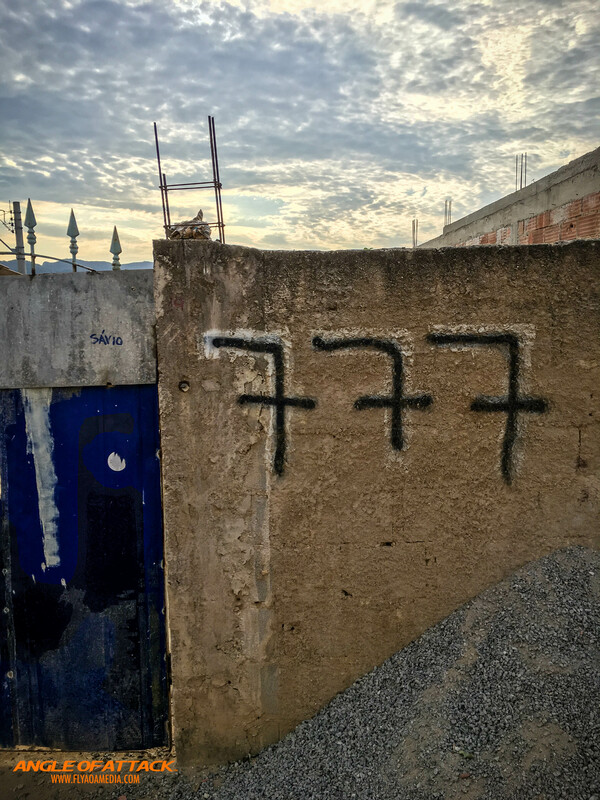 We came back from Brazil on a 777-200, a flight that lasted just over 10 hours and that just fascinated me. 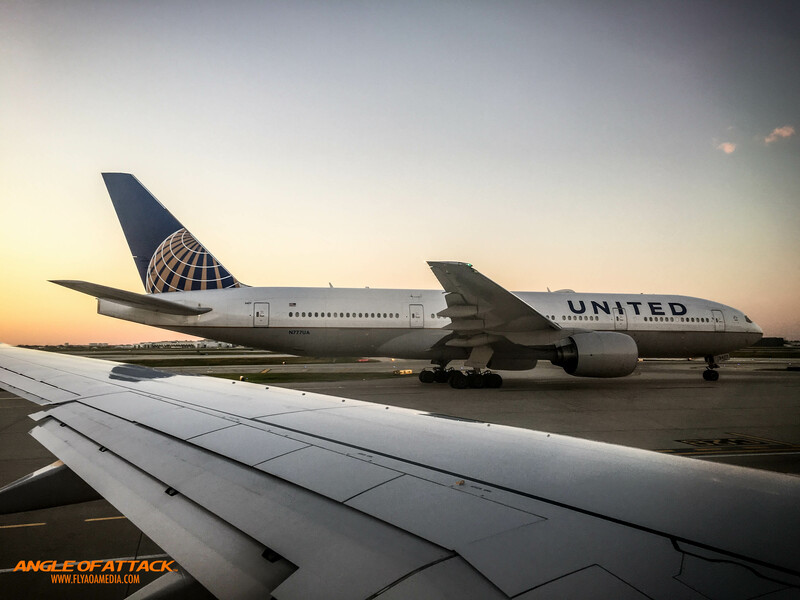 It’s just amazing what aviation does for us and we just flew right out of Sao Paulo and we were in Chicago in the morning and then caught another flight from Chicago to Alaska. I’m just continually fascinated by aviation. All of that was very much aviation. Maple was a fantastic time. 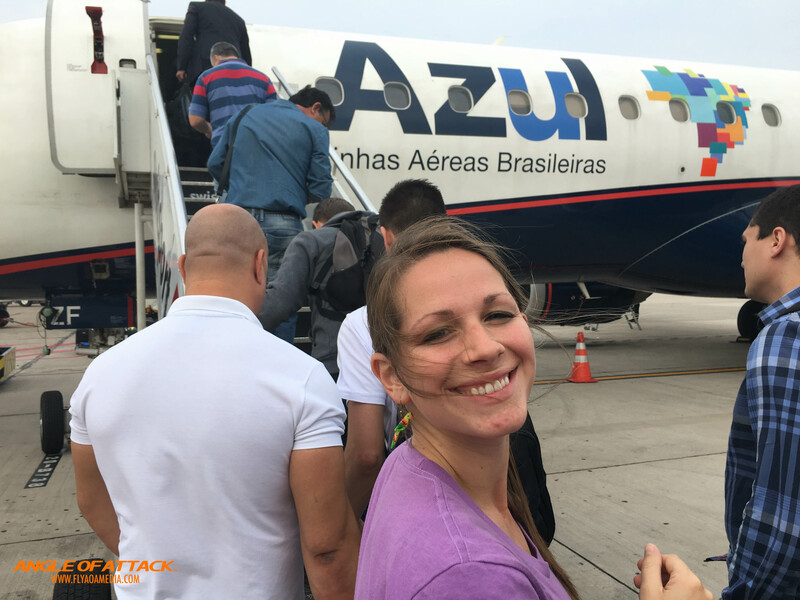 It was great to be in Brazil and having reached a country via aviation. That just wasn’t possible for a very long time until just recently so I feel very blessed to have been doing that. 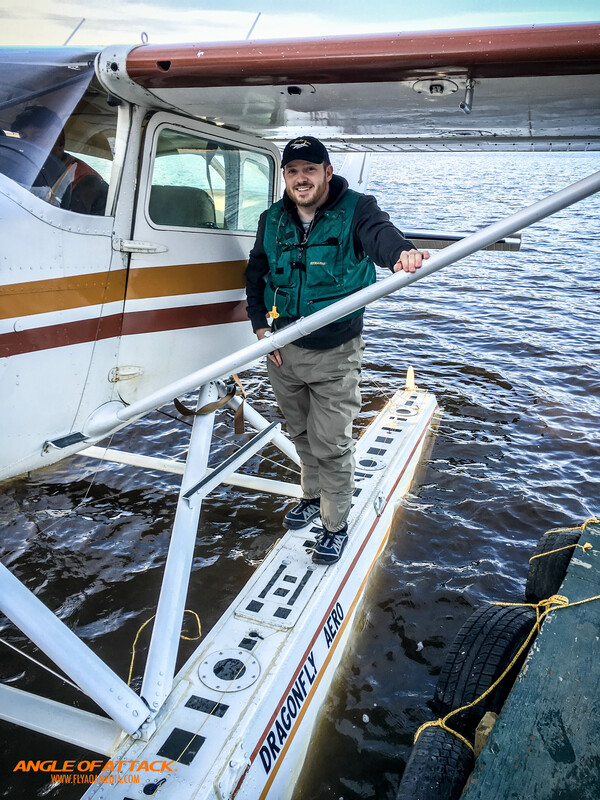 So, after I got back from Brazil, I only had a few weeks at home until I was going to be leaving again but during that few weeks, I was able to take the last floatplane flight of the winter. So my instructor and I, Alex Clark from Dragonflight Arrow here in Homer, Alaska, we went down to the lake, we took a lot of time taking the frost off the wings because there is a quite a bit of frost on the wings, the actual water was not icy but it was just cold enough to start to get moisture to bond to the wings. So we spent a lot of time preflighting, a lot more time than we spent flying, and then we went up and just had a blast flying around. We flew to a local lake called Caribou Lake and then we went over to another lake which I’ve flown into before which is called Emerald Lake, but the winds were pretty darnly so we didn’t try to jump in there. And then we flew around just enjoyed the last flight of the season. 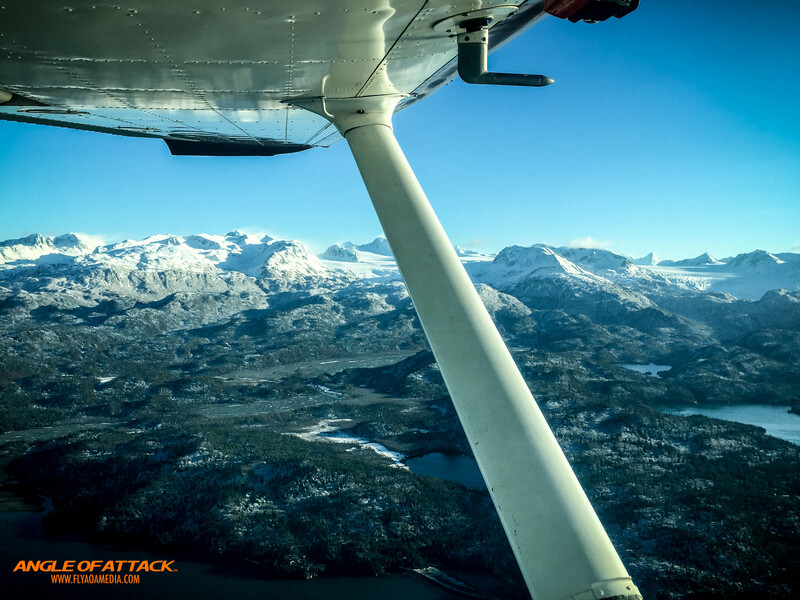 We got back and did some touch and go’s sort of thing, if you can it that in a float plane, and so we did some touch and go’s about four or five of them, and then we were then. 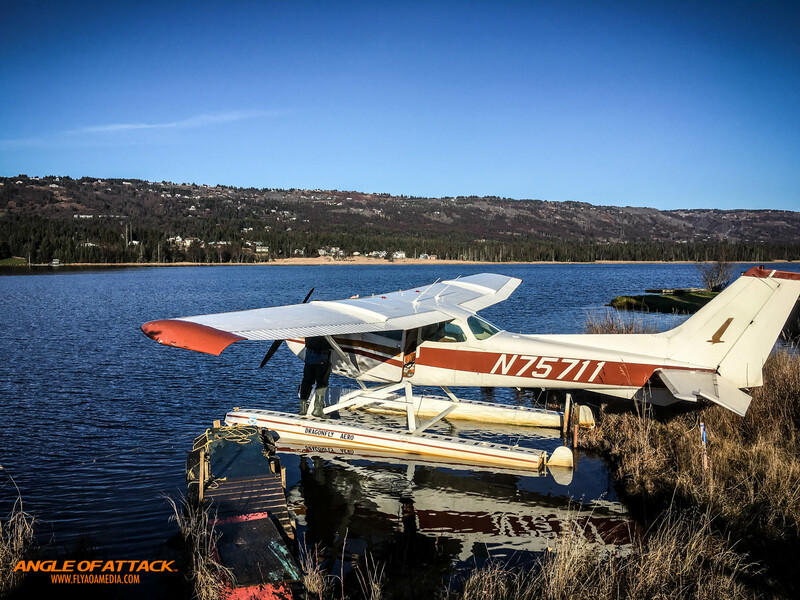 That was last flight of the season but it was a fantastic time and I’m looking very much forward to when things thaw out again so that we can go float flying again. But the great thing is is that Alex puts his 172 on wheels and so that we can still fly in the winter. So I will be doing some winter flying here and I’m very much looking forward to that, and just flying again. So, as I mentioned, between Brazil and that last float flight, I was going to leave again. So this was a big stint where I was going to be gone for five weeks. So the first place I left to was Austin, Texas or more specifically, San Marcos, Texas to Redbird Migration. To those of you who are unfamiliar with Redbird, Redbird is the manufacturer of general aviation full motion flight simulators. They do a lot more than that. They have a range of different flight simulators that they do. But these guys are known as being the company that really made full motion, full fidelity simulation possible for your average joe flight school, and I just find that when I go to Migration, I meet a lot of likeminded, high-powered people that are innovators and looking to push the industry forward so I always like to be there. Bold Method was there. I met John and Martha King which was a fantastic thing. I got a picture with them so that was super cool. And then I got to learn about some new technologies that Redbird has come up with, one of them is Navigator. So Navigator is their new instructor station if you will. It’s going to be more than that but it’s an instructor station but it’s wireless so you can have it on your iPad and you can do all the things for the simulator that you need to do as an instructor from just an iPad or a mobile device. So that means setting up weather and challenges and different things like that, whereas before, it was a little bit archaic, you had to have a keyboard and I think you could even have a mouse and you could do those things. So now, it’s a lot easier. It’s just right from the Navigator station. They also talked more about Sidekick which is basically an AHRS unit, that’s kind of how I explained it, an AHRS unit that fits in the airplane and logs all sorts of data like RPM, Gs, how hard someone landed, their location, all sorts of data, lots and lots of data, and so that flight schools can use that data to see how people are performing. If someone bent and airplane and they can drill down into data and come up with solutions for their flight school from that data. Maybe they have an instructor that is really great and they want to figure out why he is so great, they could potentially draw some of that reason from big data that would come from the Sidekick or maybe on the opposite side of that, they have an instructor that has struggling students, and that they can potentially learn something from there too. But really, the data that comes in is your own and you get it and you can kind of approach it with your own solutions, essentially asking the data questions if you will and then trying to draw your own answers out of it. There was also Imagine Flight which was another thing, they were talking about a whole lot at Redbird and Imagine Flight is a community-driven organization that will help push some unified curriculums and unified website and things that really help the community promote flight training, specifically those who use Redbird Flight Simulators in their toolset at their FBO. So there are a lot of great things going on at Migration. Now, one of the funnest things that I really enjoyed was they did a networking or challenge between a bunch of teams. So there were 21 teams and the challenge was you had to come up with a 30-second to a minute and a half video that marketed aviation to your everyday person. So the whole thing was that it was going to be a Super Bowl commercial right? So we went in and we really killed it. Our team did a fantastic job. It just so happens that I’m a video guy myself. I mean, I’ve been doing it for years as long as I can remember, even for when I was a child, and so we really nailed it. We hit this thing hard, and there were some funny, funny and clever contributions from other, other teams did a great job as well, but it turns out that our team actually won the award, we won the contest, and so at the end of all these, we actually got to go up on stage and get presented with an award from John and Martha King and funny enough, this was called the Whizzie Award. It was a bottle of Cheez Wiz that was sprayed gold and had a little tiny plackard on it for best film or something like that. We had to use the Cheez Whiz at some point in our video. If you guys want to see that video, I will make sure to put it in the show notes on this episode on aviatorcast.com. But it’s really cool that our team got that recognition. We had a fun job doing it. I felt like the commercial if you will came together really well for only being able to spend a couple hours on it. So that was very cool. It was a great experience to be down in Texas. It was great to see what the people in the industry were doing and how things were moving forward in a positive way. I’ve always believed that simulation is part of that, that’s why at the beginning of the show, I share not only flight training news but I share flight simulation news because I believe that flight simulation is such a big part of the answer to many of the problems that we’re facing right now. Not only that, just ignore the problems. 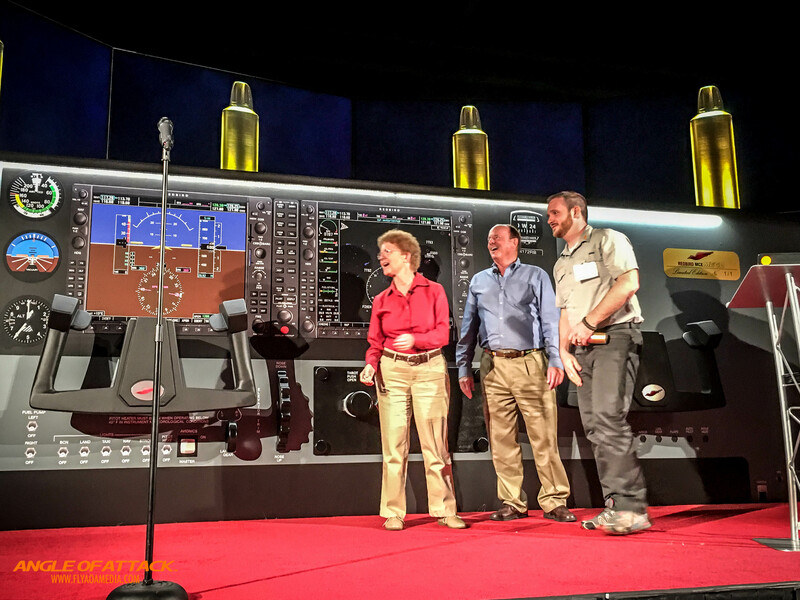 Flight simulation makes sense for flight training. So, that was Redbird. It was a fantastic time. I’m sure that I will have more nuggets coming from that as we move forward here, and also some people that I met up with there that we will have on the show. So after Redbird, again I said that I was going to be gone for five weeks, so that only lasted several days. My eventual plan was to spend Thanksgiving in Las Vegas with my brother and his family but migration was on like the 2nd, 3rd and 4th of November so I had a long way to go. I just decided to go visit family in Utah, that’s where I grew up, and I just had a good time there and just ate good food and hung out with my parents and my family. So that was good. And then we had a good time in Las Vegas for Thanksgiving. My brother warmed up his pool to 95 degrees and we just swam around the whole heck of a lot, had a great time, enjoyed some turkey and stuffing and cranberry and all those great things, and of course, I have a lot to be grateful for. And then from there, yes it’s not over, I went to California, and here in California, I would visit my in-laws, my wife’s family, so that’s where my wife’s father grew up, her sister also lives there, her grandparents still live there, her uncle. So we had a good time. It was a little warmer there. So we enjoyed some shorts and short sleeves and some good food. But there was also some good aviation stuff to do. 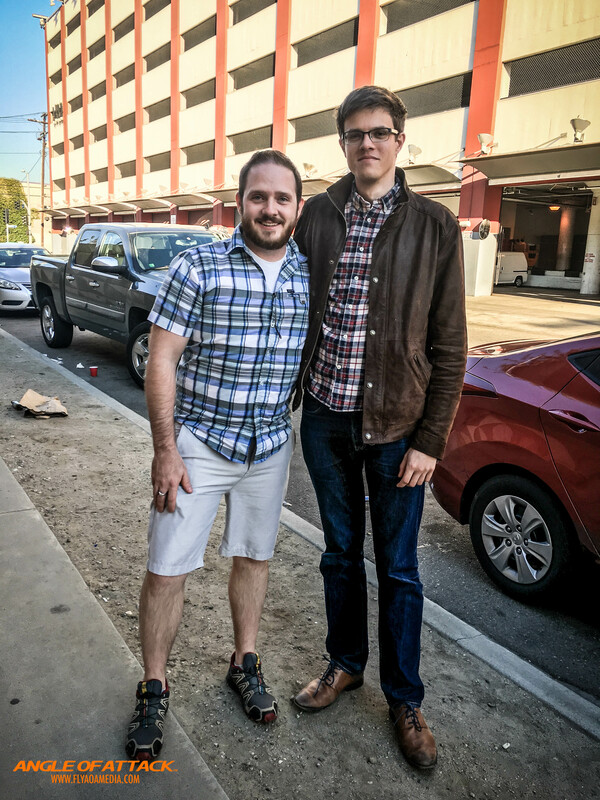 So before I ever went to visit family, we drove from Las Vegas, after the Thanksgiving rush, we drove to Las Vegas and I met up with someone you may recognize, a name you may recognize that is Nick Collett. Nick Collett was a guy that worked with Angle of Attack for quite a long time and he is now an airline pilot out of Spain. He flies all over the area, not international stuff, just more regional stuff. Nick has long been a friend, and I know it sounds silly because this is the first time I’ve actually ever met him in person but he’s been a really good friend for many years, being from England, and so he and I just finally kind of crossed paths but we did so, or I did so in kind of a surprise way. So was hanging out with our friend Mike Bardles, they were doing some work down there, and I surprised Nick and just kind of showed up at In-N-Out Burger, the famous In-N-Out Burger at Los Angeles International, that famous one where you see the airplanes right on short final, crossing over the restaurant. So he was kind of dumbstruck that I was righter there. He’s like “What? Hi. How you doing?” So it was really, really cool to see Nick. So we were at In-N-Out Burger but then we went to this place called Proud Bird Restaurant. If you are ever in Los Angeles especially for a long lay-over or something like that, you have to go to this restaurant. This is the coolest aviation restaurant I’ve ever been to. The food was excellent as well but man, the views were even better. So Proud Bird was this conglomerate of aviation history. 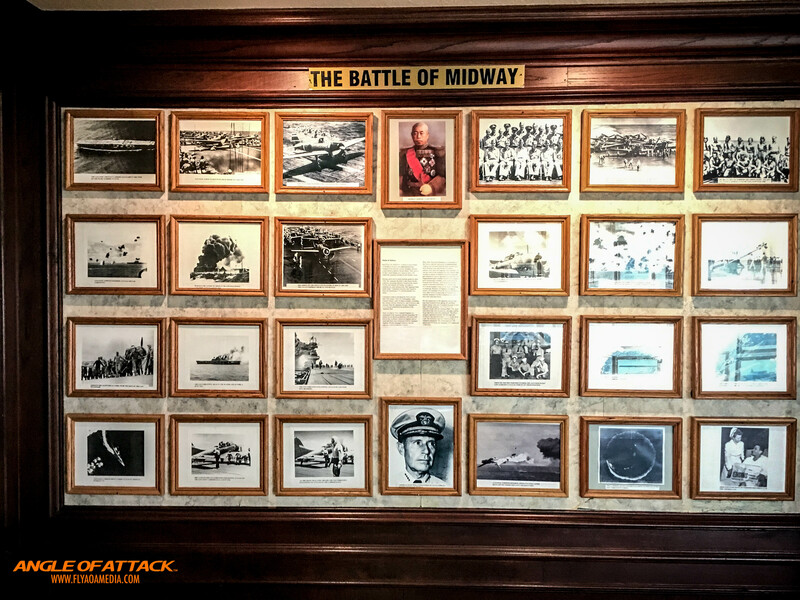 They have parts of the wall dedicated to different aviators like Bob Hoover and Chuck Yeager and Amelia Earhart and different World War II battles like the Battle of Midway, and then they’d have the Women in Aviation wall. It’s just thing after thing, they had all these cool pictures on the wall. All the walls were basically covered with old black and white aviation pictures. 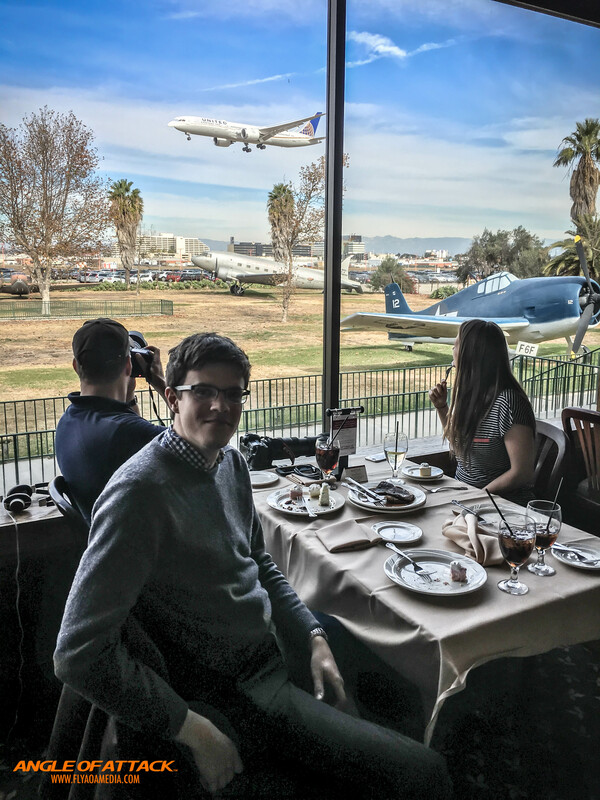 And if that wasn’t enough, they have one side of the restaurant that is basically just all windows and by these windows goes some large international airplanes on short final, landing it, LA International. 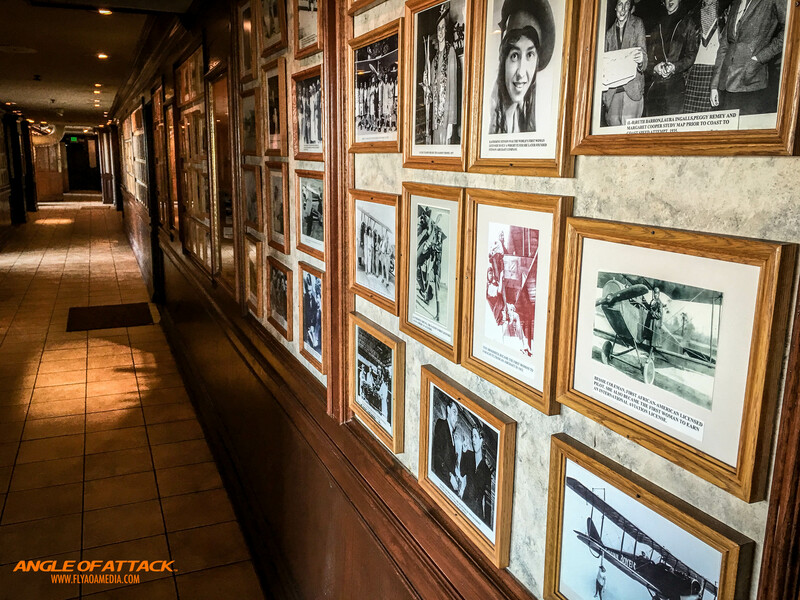 So you sit there eating this delicious food, you’re surrounded by all these pictures and all these aviation history and then you have airplane after airplane just landing. It was just amazing and you have some on display outside too, some old World War II fighters, World War I even. It was just the coolest restaurant. So Proud Bird Restaurant. If you’re ever in Los Angeles, you absolutely need to go, just so cool. I really enjoyed my experience there. Of course, I was with Nick and Mike and my wife. We had a good time mingling and gosh, it was just so cool. So if you’re ever at LA, go there. And even if you’re on a long lay-over, just get a cab and go there. It’s worth exiting security and all that stuff. It’s worth the headache. So Proud Bird Restaurant. I’m going back. The next day, so after this, the next day, I drove back down to Los Angeles and I went to the California Science Center I believe it’s called. And here at the California Science Center, they have the space shuttle. So the space shuttle Endeavour is here at the California Science Shuttle. 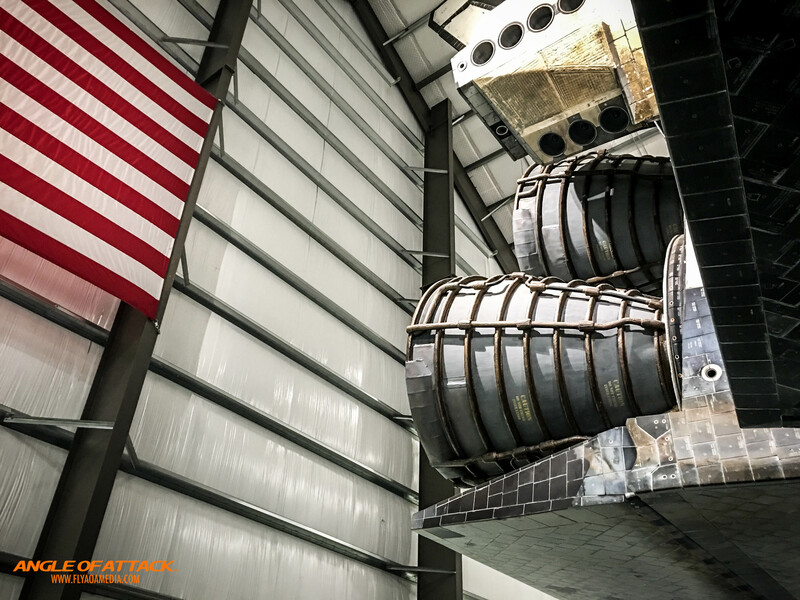 So I went down there to spend more time with Nick and with Mike and man, to see the space shuttle in real life, I’ve never seen it before especially that up close. It was unbelievable. It was just so cool to see the wear and tear on it after all those missions, and they had every mission. They had a placard for every mission circling the area. They had different things you could look at. 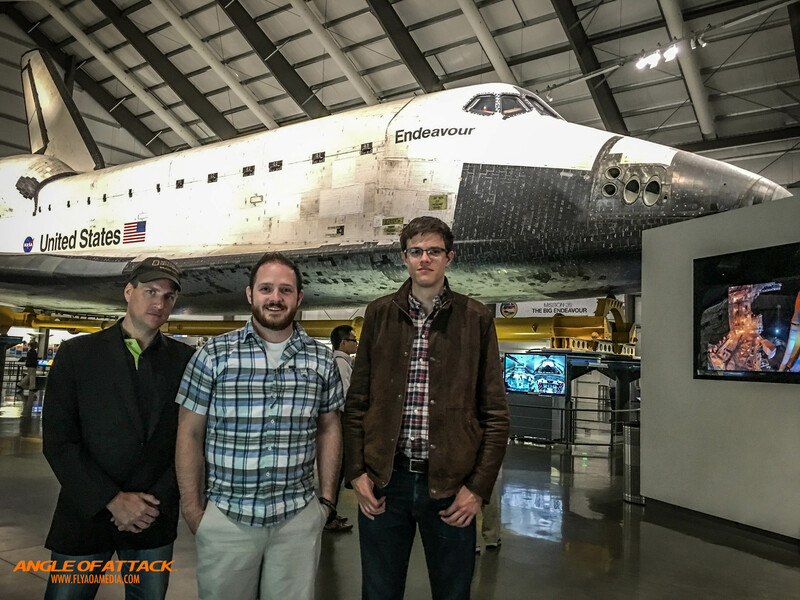 They had, even in the museum itself, they had the story of Endeavour and how it was built, and you could touch the tires of like the same kind of tires, and a fake control center. 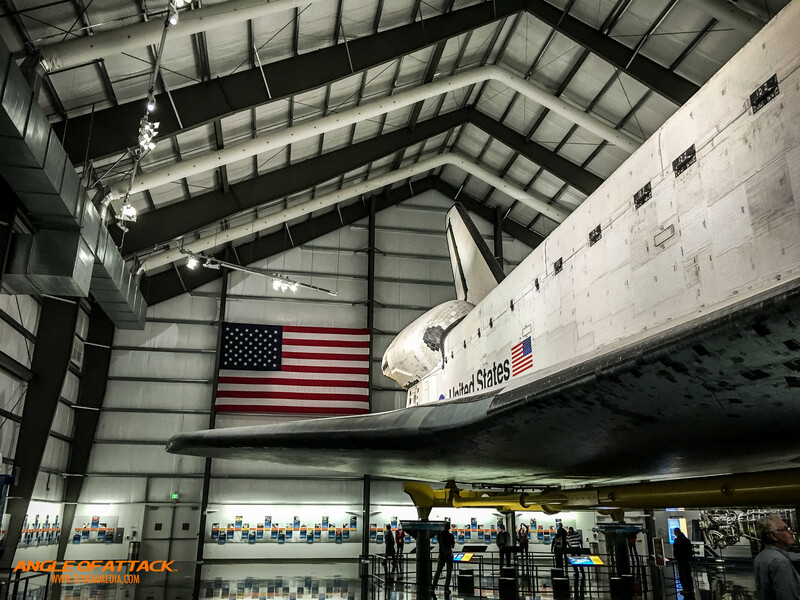 So there’s a lot of really cool stuff to see and we just hung out in that big glorified hangar they have built for the Endeavour and we just sat there for an hour, walking around, looking at different angles, getting pictures. It was really, really special. Again, that’s one of those things I suggest that if you’re in the LA area, to go and do that. That would take a little more time than doing something like the Proud Bird but it’s definitely something worth doing. Very, very cool. So that’s another aviation thing I did. So the last thing I did was I went flying with a friend of mine, Michael Phillips. He and I saw each other at Redbird and he invited me to go flying with him when I was going to be in California. 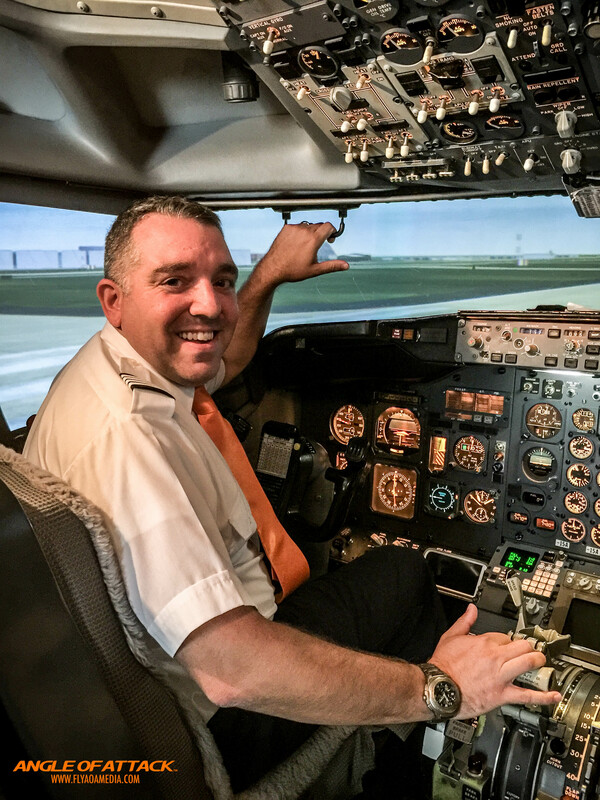 So Michael Phillips is an instructor, older gentleman, that is very much into the technology side of flight simulation to use that in his tool set. 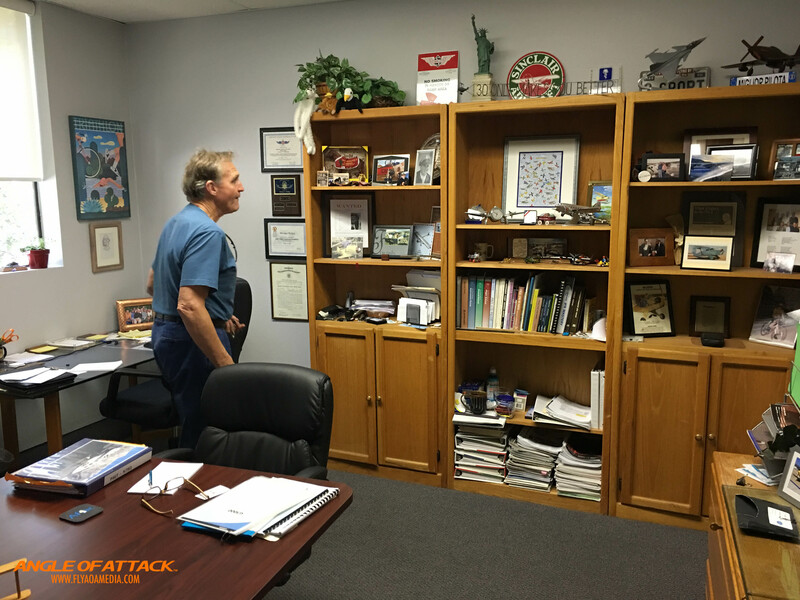 He has a great office there at Camarillo Airport. So he and I went flying. We want flying in a Decathlon. Very nice blue, gold and white Decathlon. 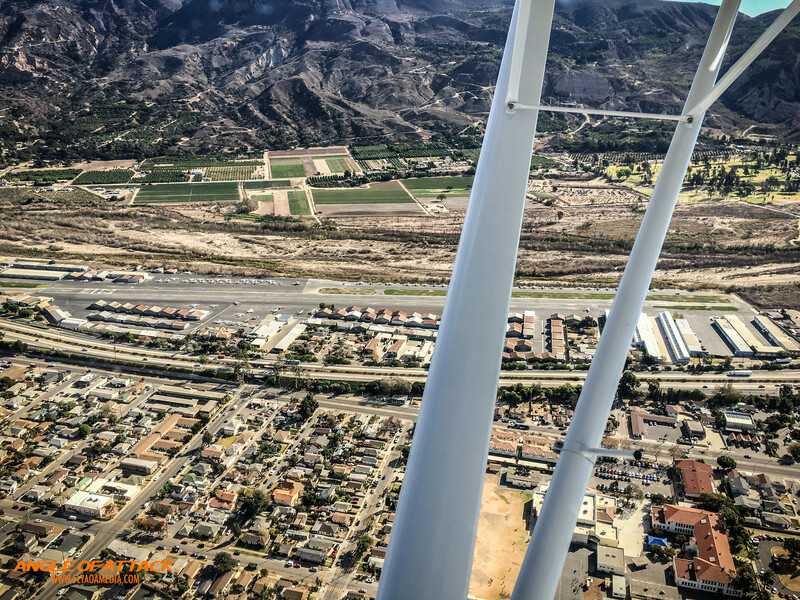 We flew out of Santa Paula Airport which was just oozing with aviation history. I walked into the FBO there and this dog runs out and greets you and you see all the training books there that you can buy, and then you walk out on the ramp and there’s just so much activity buzzing, airplanes getting towed in to get maintenance, airplanes getting towed out they just get done with maintenance, people starting up to go on their flights. The whole flight line was just live, and we went out and looked at our Decathlon which was from Japan, they brought it over from Japan and did some work on it. It was in impeccable condition, really fantastic. And this is my first tailwheel experience. 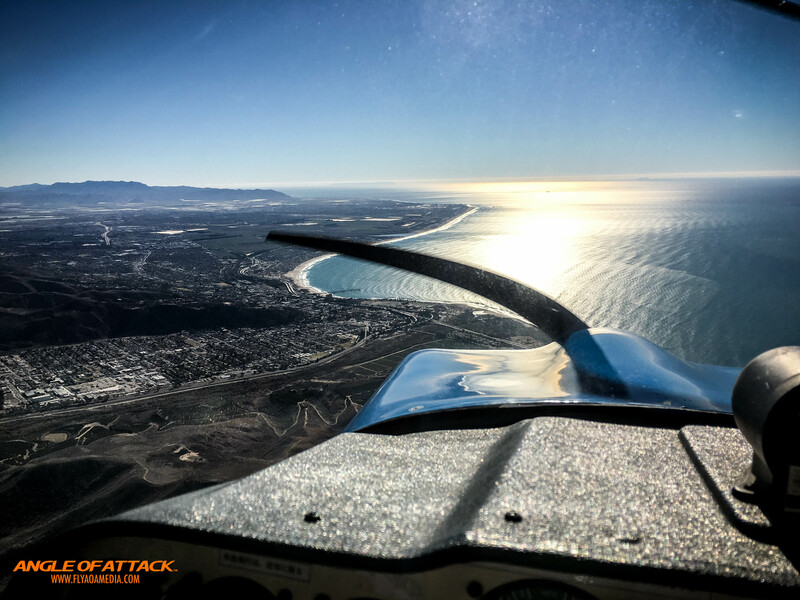 So we went up and just had a blast, we flew around the area a little bit, we did some touch and go’s at Oxnard Airport which was just there by Santa Paula, by Camarillo that’s not too far off the beaten path from Venice Airport which you guys would be familiar with from One Six Right. So we just had a great time and a great day. We went to Camarillo Airport which was just really cool. We went and met his friend Rick, an aviation mechanic there that’s been working there for 30 years. He said he hasn’t been without a job for 31 years, without a day of full work or something like that for 31 years. He’s just stayed really busy and consistent there. 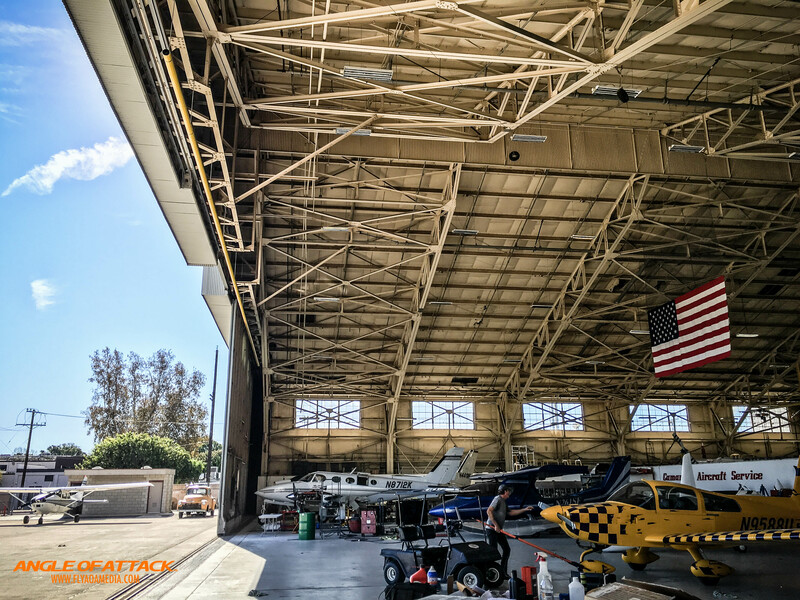 We did a few things there to help some of Michael’s clients out with getting their airplanes maintained. We saw Michael’s office. We had a Caesar salad with tritip stake strips on top of it. 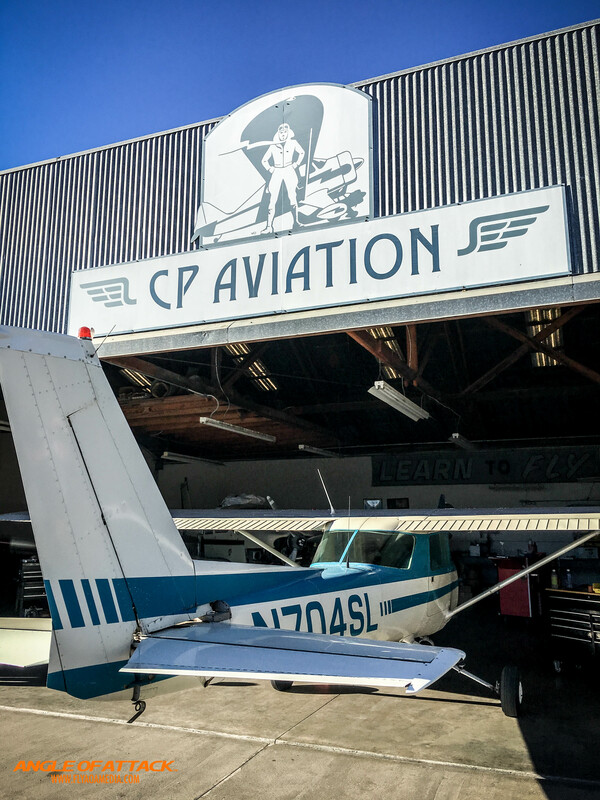 I was really surprised with how much culture, how much aviation culture has been maintained in California. 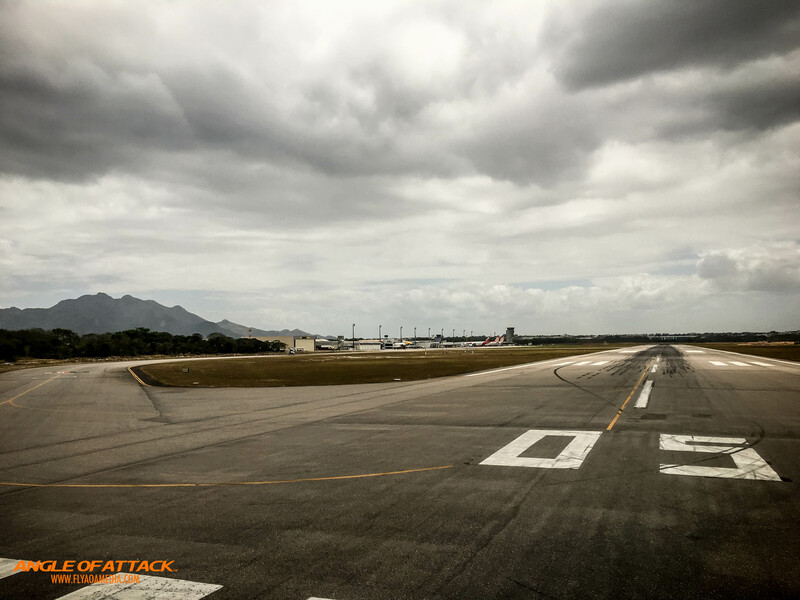 You know, these airports are not the brand new slabs of concrete. 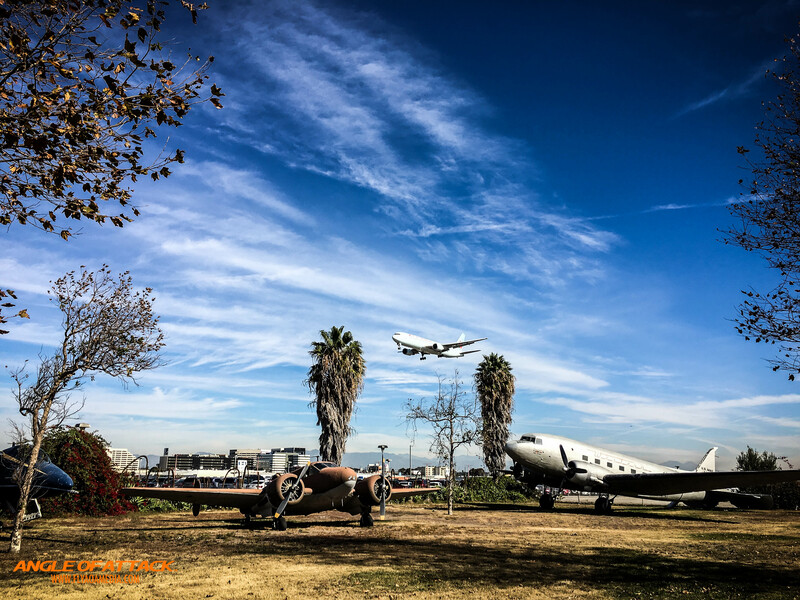 It seems like they are the same original airports, at least Santa Paula was, and the hangars were World War II hangars, and it was just so cool to see all that kind of come together and see people keeping aviation alive there and strong. So I really enjoyed my time with Michael, he was a fantastic instructor, he had made me feel comfortable and excited about what I was doing, and he was very encouraging and on the ball when I wasn’t on the ball. So if you guys are in that area, Michael is a great guy to reach out to. He is very experienced. So I just had a great time with him. I can’t wait to fly with him again. So, that all was a really great experience for me. That is in a nutshell what I’ve been up to the last couple months here. It’s a lot. I’ve been to Oshkosh is kind of where we left off. I’ve been to Atlanta for Maplewood. I’ve been to Brazil. And then I was back home to do a little bit of flying and then I went down to Redbird, and then the whole Thanksgiving thing, and then to meeting Nick Collett and going to Proud Bird in a space shuttle, and then kind of polishing off all that with flying with Michael Phillips in Camarillo, Santa Paula. I had a fantastic time. I am reinvigorated to move forward with the next step. I’m really busy. Again, I’m really busy with that big project but I’m excited to be spending the time to do important things for just the passion of aviation which is what AviatorCast is a lot about for me even. It just keeps me connected to the ground roots of where I need to be and what I need to be focusing on, or at least where the passion comes from. The dollars for what I do, a lot of that comes from this big project that I’m working on, and the other things that I work on, but this free time I spend doing things like AviatorCast is what really keeps me going and keeps me engaged and excited and moving forward, and I hope that it does a similar thing for you guys too. So, with all the experiences that I’ve had, again, I’m excited to be moving forward now. I just had to get in and tell you guys where I’ve been and what I’ve done. I have a lot of guests, potential guests I’ve met along the way in my travels, and so I’m excited to bring those guests on the show and talk to them. I have a lot just new ideas about AviatorCast and even just beyond that, just continuing it. So I’m excited to be back here. I hope you guys are willing to engage with me again and come back in and enjoy what is coming. So I’m just going to cut off there and leave you guys with that, and I am excited to see you guys next time. I am going to have a few messages here and then I will polish off the show. So thanks guys. I really hope that a lot of great things come from these last few months. I hope that you have also been engaged and busy. So after these few messages, we’ll just wrap things up and we’ll move on to the next episode of AviatorCast. Thank you N2Flying. I really appreciate it. Man, that high density altitude takeoff or that takeoff where I nearly clipped some trees was very scary. It was shared on Flight Chops, we mentioned him on this episode. If you guys haven’t heard about that before, it’s on the blog. There’s plenty to learn from it. That’s exactly why I put it online so that other people could learn from it. That situation still haunts me to this day. But to your other points here N2Flying, I really like the idea of doing an episode like that on how to build a home sim. I will reach out to some people I know and see if I can come up with an episode like that. Like I mentioned, I’ve been flying with Oculus Rift and I’m actually a huge proponent of that now and I plan on doing a virtual reality episode here coming up soon because I just feel that that immerses you in the flying environment like nothing else has done for a very long time. I mean, it’s above and beyond even a full motion cockpit. It’s unbelievable. I’ve just really enjoyed it. So I really appreciate that. We will look forward to doing that. For you to get the t-shirt, just send me an email, me@aviatorcast.com. I’ll send you one. I’m excited to do that. And congratulations for being a student pilot at 46 years old. It’s never too late to start. It may be more difficult. It probably will be, but it’s never too late to start. So kudos to you. So a couple more items to wrap up the show here guys. I want to thank the crew at Angle of Attack for all they do to make this possible. They work very hard. Again, I mention that big project. 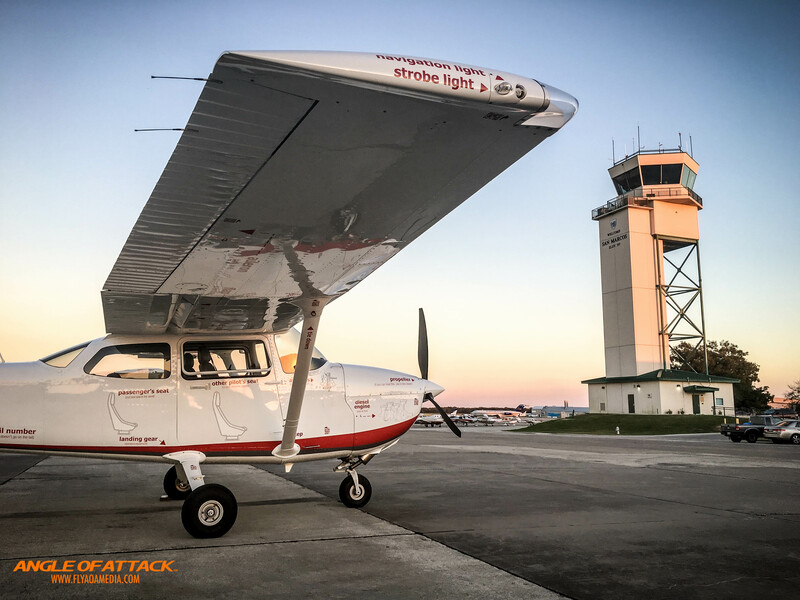 They work very hard on the other things that make the company flow, Angle of Attack productions, so that we can do AviatorCast. And thank you, the listeners. I am so excited that you guys are engaged in this. I love having you around. I love these episodes. I love the people we get on the show. I love hearing your stories. So please keep sending them in. I really appreciate you guys and I really hope that you continue to do good things. Also next week, I’m gonna be doing a Star Wars episode. So some intel has come in. I’ve acquired some top secret information from both the Rebel Alliance and the Dark Side if you will about how their pilots operate. So we’re going to be talking about that on the next episode of AviatorCast in celebration of Star Wars Episode VII: The Force Awakens. So I’m really excited about that. It should be a really fun time. Alright guys, so that is it for this episode of AviatorCast. Until next time, throttle on! Like to hear your review though, but I guess you did good. The Follow files link gives some xml error, please fix. Igor, the best and fastest way to get support is through the support function, not in the comments. That said, I’m pretty sure I got this fixed. Good luck!